Any small business owner will tell you, word-of-mouth is a huge part of their business. Yes, their online presence and marketing is crucial for them, but nothing can beat that referral to a friend or family member. If this is how your business operates, there’s one tool online that can be extremely valuable for enhancing your business’ word-of-mouth status: Facebook! Have you ever seen that post on your Facebook Newsfeed from a business you don’t follow? Chances are, it’s because one of your friends liked their content or their page, itself. When someone likes, comments on, or shares a post, their friends on Facebook begin seeing that engagement and the post that was engaged with. Now let me ask you this, is that not word-of-mouth? Knowing that your friend, John Doe, supports a local dentist office instantly gives that dentistry credibility. In the example above, you can see that John Doe liked a post from Cherry Hill Dentistry. Now, even though you may not actively follow the page, you are seeing the content. John Doe’s support of Cherry Hill Dentistry is now broadcasted right to your Facebook Newsfeed. This previous example showcases the organic value of reaching people on Facebook for your word-of-mouth value, making it a little more uncontrollable in terms of who winds up seeing it. There are, however, more targeted methods for achieving the same goal. Facebook Advertising has become one of the leading methods for digital advertising. It’s targeted, trackable, and cost-effective. In addition to the more obvious values of a Facebook ad, it also is a great way to broadcast that word-of-mouth presence your business has established. Just like in the previous organic example, you can showcase the connection your business has with your target audience’s friends. You can force the issue of word-of-mouth by targeting your existing fans’ friends in your advertising. You can see in the example above that John Doe and Jane Doe both like The Home Depot. Those names are going to be seen as the user’s friends who happen to like that page. Now, not only is this ad seen by a user who has friends that like the page, it also is being seen by a user who fit the ad’s target audience. Under the page’s name at the top, you will see that it says “sponsored.” This means it’s an ad. Facebook advertisements have very targeted audiences designed to deliver the ad to those that would find the ad relevant. So, this ad now being seen by someone who may find the services relevant, as well as someone who has friends who support the services of The Home Depot. Now, when you are looking to add to your business’ word-of-mouth value, it should be pretty clear that Facebook is your ally in this pursuit. If you don’t think you have the time to post organic updates on a consistent basis, or you aren’t tech savvy enough to run successful Facebook ad campaigns, Next! 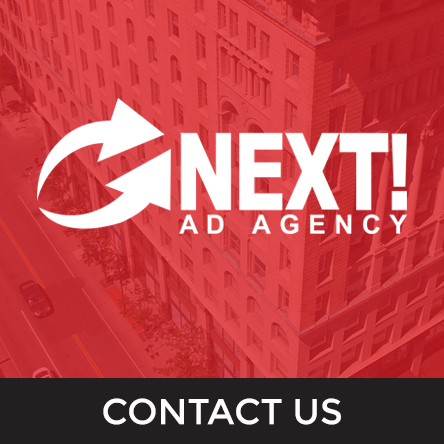 Ad Agency is only a call away. At Next! we provide personalized and customizable social media services for your business. Thank you for taking the time to read this article and feel free to post your questions and thoughts in the comment section below!